Samsung the popular brand among consumers has definitely set a new benchmark in terms of smartphone innovation. With the launch of Galaxy S8, 8+ and Galaxy Note 8 the company has displayed its prowess to come up with new and unique products that not only leave the fans as well general people awestruck but the company’s products are a trendsetter. Well, Samsung did come out with infinity displays having almost no bezel on its flagship devices. And the trend seems to have been picked up by many other brands as they are also launching or are gearing up to launch smartphones with bezel-less displays. We might be seeing a new era of smartphones in the coming future. 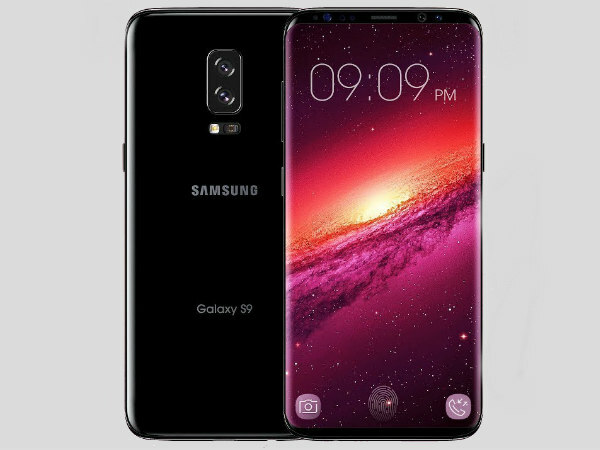 Having said that, DBS Design a group that is constantly coming out with images and videos of smartphone concepts have now released a new Galaxy S9 concept video. Their concept design has been based on rumors, leaks and some of their own expectations/ imaginations regarding the next flagship. According to the concept video, the new Galaxy S9 seems to come with a full-screen QHD display and the smartphone is using the same Infinity Display like its predecessor with a typical 18:9 aspect ratio and a QHD+ resolution display. Considering that the next Galaxy S series will pack a full-screen design, it is likely coming with a set of on-screen buttons as well as a fingerprint sensor embedded under the display. This will be a new feature that many smartphones coming out next year are expected to come with. The smartphone can be seen coming with a typical USB Type-C port, enhanced loudspeaker and a 3.5mm headphone jack at the bottom. The video also mentions that the smartphone will also come with 6GB of RAM, 128GB of internal storage, dual rear and front cameras, a 3600mAh battery and Android 8.1 Oreo. In any case, it’s quite fascinating that tech enthusiasts are always on the edge and are already looking forward to the next iteration of Samsung devices. Nonetheless, this is just a concept video and many things will be changing until next year. Apart from that, this video does give us a pretty good idea of what to expect from the South Korean giant.